Luke Skywalker is a superhero. So is Harry Potter. Merlin was one too (said in the past tense, as obviously he’s dead, whereas Harry and Luke are alive or technically not born yet). I come to this presumption based on the knowledge that any archetypal character following the hero’s journey, combined with a smidge of non-human powers, is today’s superhero on an enhanced hero journey – a superhero journey. It’s reasonably well known that superheroes are today’s version of the myths of old, and also of our fairy-tales. Dissertions have been written on the subject of the American myth (as superheroes originated back in 1930’s America). All those Greek or Indian Gods – yeah, superheroes. All those fairies, elves, witches and warlocks – yep. Superheroes. and save the day/the world/humans. Confirmed by the fact that some of our actual comic-book superheroes were already of the older fairy-tale or mythic god origins in the first place. Nordic Demi-God Thor, for one. Gauls Asterix and Obelisk were my own childhood favourites. Zantanna or Dr Strange on the magical side. (I’m fine with the Scarlet Witch, however – who is actually the daughter of a mutant). *Fortunately, for those from the fantasy or myth arenas, they’re okay to have parents, and to simply inherit their powers. None of which explains why we have a talking raccoon (or tree) as galaxy guardian, but if we are going into the talking-animals wearing clothes myths of old (because talking animals are really super-powered human representations with fur on) then we should be looking out for even more blends into the superhero genre (which admittedly has sucked up most other genres you have already thought of). Wait, we already have roughly human-formed (or car-formed transformable) aliens with heart, too. Spock and Dr Who come to mind. 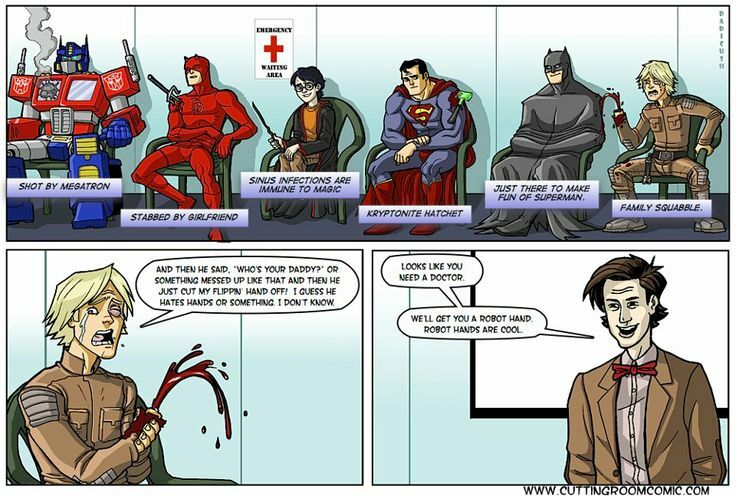 And then there’s Batman. A human representing a furry animal, with enough money to buy himself some tools to make it appear he’s a superhero of equivalence to someone from the planet Krypton. Ditto Batgirl. And Black Widow just knows a bit of martial arts (but was bio technically enhanced for the sake of longevity), like Grasshopper from the sorely missed Kung Fu series. Although his enhancements were quite simple – bald head for aerodynamics. Batman, Iron Man, Black Widow, Indiana Jones; they give us hope that we too can take a hero’s journey into superhero proportions without being born with funny genes or idiotically falling into radioactive goo.